Nothing in the House: Piedmont Pi(e) Day in the Independent! Piedmont Pi(e) Day in the Independent! Check it out! 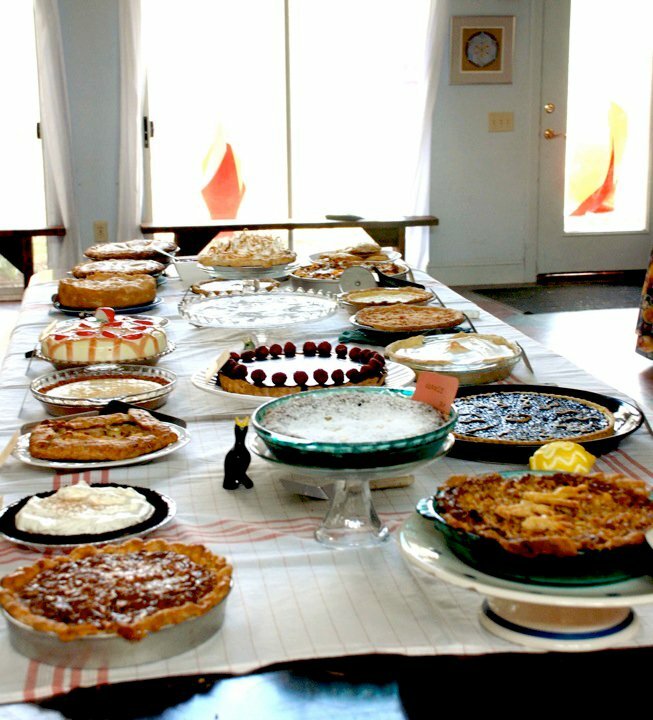 This year's upcoming Pi(e) Day party (5 days away!) is featured in the Independent Weekly! Link to the article, by Emily Wallace, here. The celebration will be held at Johnny's in Carrboro, NC from 5:30-8:30 pm. 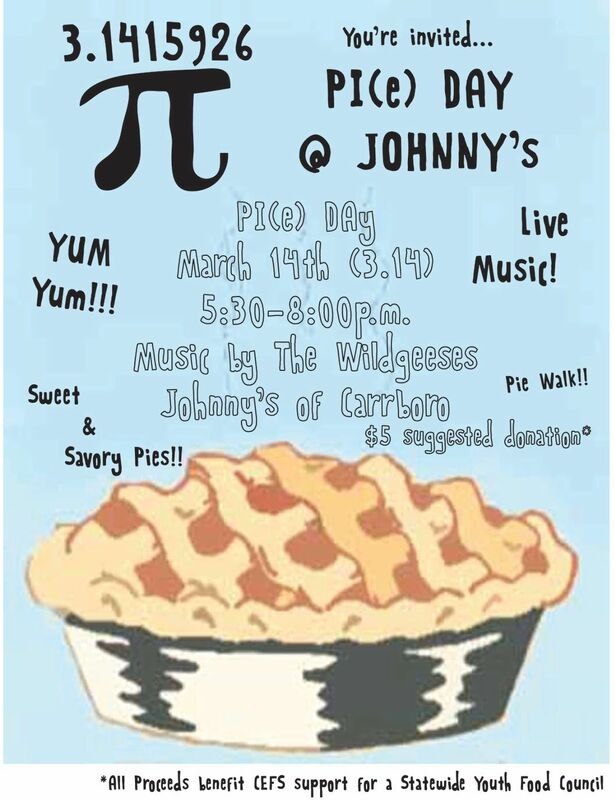 There will be live music, a pi(e) walk, and a pi(e) photobooth. Check out our flyer here and Facebook invite here. I like how you describe yourself as a nerd in the article. I mean, that's a good way to get people to come to your pie day party. haha. or a good way to weed 'em out, like a beard shield.